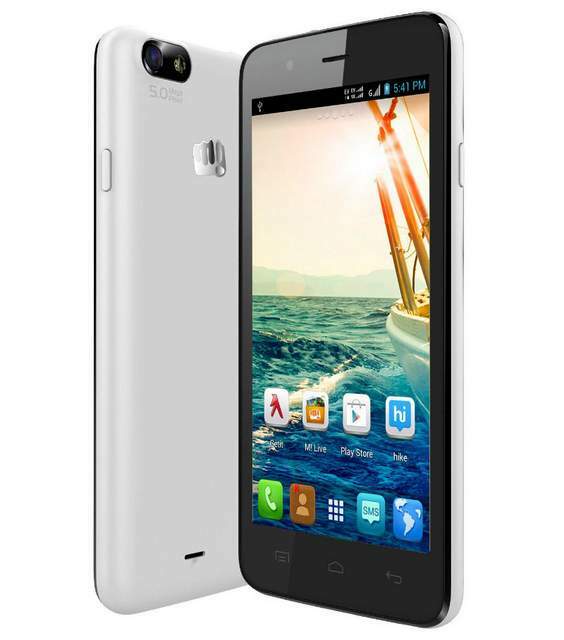 Micromax Bolt A069 has been launched at price of RS 5499. The new MMX Bolt A069 comes with entry level specifications, although it runs on Android 4.4 Kitkat OS. It is accomplished with 5 nch FWVGA 854 x 480 pixels capacitive touch screen display. The Micromax A069 is a DUAL SIM phone and draws the strength from 1.3GHz dual core CPU. It lacks the 3G connectivity and an auto focus camera. The new Micromax Bolt Ao69 comes with 5-megapixel fixed focus primary camera and a VGA front shooter. It has 512MB of RAM , 4GB of internal storage ( out of which 1.53GB is assigned as mass storage ) and expandable memory up to 32GB. It houses 1800 mAh battery which claims 7 hours of talk-time. The Bolt A069 offers 2G EDGE, FM Radio, WiFi and Bluetooth connectivity. The Bolt A-069 comes in green, grey, red, white and yellow color. Currently it is available from ebay India, while soon it will be available from Amazon and Flipkart as well.